Brazil has undergone a massive privatisation programme since the 1990s to deregulate the domestic economy, eliminating obstacles that hindered the country's development and stimulating various industries by reducing the federal government's presence in economic activities. Political stability and a steady growth in the economy have helped the country develop more in recent years than throughout its previous existence. During this period, Brazil has established a free foreign exchange market, eliminated price controls, reduced the bureaucracy around foreign trade and capital flows, created mechanisms to allow foreign investors to access Brazilian securities markets and reduced restrictions on foreign investment. Foreign inflow of resources and cash were fundamental for Brazil to foster strong development in several industries, with renowned and internationally recognised results. The Brazilian government has continued to encourage the private sector to invest in industry sectors that were historically the government's responsibility, particularly infrastructure. The oil industry, electrical energy, telecommunications and other utility services have been opened up to private initiatives and foreign capital, thus developing and creating opportunities for competition and the subsequent improvement in the quality of these services. Despite the fact that the current political crisis has affected the economy's ability to continue the trend for steady growth and has generated uncertainties as to Brazil's short-term future, in general, foreign investors remain optimistic about investing in Brazil for the medium and longer term and newcomers continue to identify interesting investment opportunities here. Government authorities have also undergone major changes to attract foreign investment to the domestic capital markets, enacting updated regulations and reducing bureaucracy for offshore investors. In December 2000, the Brazilian stock exchange (formerly BM&FBOVESPA SA (Bolsa de Valores, Mercadorias e Futuros) and currently named B3 SA (Brasil, Bolsa, Balcão)) introduced the Novo Mercado, a listing category focused on foreign investments in the largest Brazilian companies by applying stricter rules on corporate governance, accounting and disclosure, while improving the treatment of minority shareholders – emulating more developed and mature capital market regimes around the world in many ways. The Brazilian Securities and Exchange Commission (CVM) has enacted and modernised the Brazilian capital markets since its creation by Law 6,385 of 7 December 1976. This Law sets out the general functioning of the Brazilian capital markets, including public offerings, securities registrations, stock exchange negotiation, disclosure of information and types of securities. Entities with the authority to self-regulate, typically stock exchange and OTC market entities, are subject to supervision by the CVM. These entities are responsible for overseeing their members and ensuring their compliance with applicable rules and regulations. There are also entities that are purely self-regulators, such as the Brazilian Financial and Capital Markets Association (ANBIMA), a private body engaged in promoting codes of best practice to participants in the financial and capital markets to engender the optimal environment for the evolution of these markets. Direct foreign investments in the Brazilian economy are governed by Law 4,131 of 3 September 1962 as amended by Law 4,390 of 29 August 1964, while foreign investments in the financial and securities markets are governed by Resolution 4,373 of 29 September 2014 of the Brazilian Monetary Council. Both categories are regulated, controlled and registered by the Brazilian Central Bank and must be carried out through exchange rate contracts. The definition of foreign capital encompasses goods, machinery and equipment brought into Brazil without any initial expenditure of foreign currency for use in the production of goods or services, as well as financial resources brought into the country to be invested in economic activities. Such assets will only be considered foreign capital if held by individuals or corporate entities who are resident, domiciled or have their registered office abroad. Direct investments may be made through the remittance of foreign currency as a capital contribution to a Brazilian company or for the purchase of existing equity interests, or through the contribution of assets to a company. A foreign investment must be registered with the Central Bank if (1) it is in a productive activity that may, in whole or in part, be conducted by a foreign investor, and (2) the investment qualifies as a foreign capital investment under the Brazilian foreign investment regulations. Therefore, with respect to investments in business activities such as trade, manufacturing or rendering of services, the initial investment, capital repatriations and dividend remittances must be registered with the Central Bank. Registration of a foreign investment must be submitted electronically to the Central Bank by the company receiving the investment (the investee), using the Central Bank's electronic system for direct foreign investments (RDE-IED). This electronic registration must be made within 30 days of the date of the liquidation of the currency exchange agreement and does not require preliminary approval, considering it has a merely declaratory nature. Foreign investments should be registered in the national currency of Brazil (i.e., reais). Profits should be remitted in the currency of the country where the investor is resident or has its head office (or where the branch making the investment is located). Reinvestments of profits should be registered in the currency of the country to which the profits would otherwise have been remitted. To use the RDE-IED system, the investee (Brazilian company) and the foreign investor must obtain a National Registry of Legal Entities (CNPJ) or Individual Taxpayer Registry (CPF) identification number, or both, by registering the relevant data about themselves and their respective representatives. After obtaining CNPJ and CPF identification numbers, as required, the investee is able to obtain an RDE-IED number for the investor–investee investment relation. This number is permanent and personal to the investor–investee pair, and must be used for any financial transaction between the investee and the foreign investor. Brazilian entities and foreign investors must update information concerning their investments with the Central Bank whenever a corporate act modifies the company's equity structure, and must do so within 30 days of the modification. In addition to the information update whenever a transaction takes place, Brazilian entities with foreign investors must also update certain information with the Central Bank either annually or quarterly, depending on the value of their net worth or assets. Note that, recently, the Brazilian Central Bank system has started requiring Brazilian companies to disclose the country in which the foreign investor is incorporated or resident (as the case may be) and the country in which the ultimate beneficial owners reside. It is expected that the Brazilian tax authorities will start requiring this information for the issuance of tax enrolments for foreign investors in the near future. Foreign investors may invest in the Brazilian financial and securities markets using the same fixed-income instruments (i.e., bonds, notes, certificates of deposit and debentures), derivative instruments (i.e., swaps, futures, forwards and flexible options), securities (i.e., shares, stock options and stock index warrants), mutual funds, private equity and other investment funds, and other financial instruments available to Brazilian residents, with certain exceptions. A foreign investor can only purchase or sell securities traded on stock or commodities exchanges, electronic systems or organised over-the-counter (OTC) trades, and securities or financial instruments traded on OTC markets that are either not organised, or organised by entities not authorised by CVM. 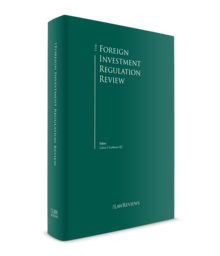 Foreign investors may purchase Brazilian depositary receipts (certificates representing securities issued by foreign publicly held companies, issued for the purposes of trading on the Brazilian securities market). To invest in the Brazilian financial and securities markets, a foreign investor must (1) appoint an agent in Brazil (which must be a financial institution or an institution authorised by the Central Bank), (2) register with the CVM and (3) enter into a custody agreement with a financial institution authorised to provide custodian services, in accordance with CVM Instruction 560 of 27 March 2015, as amended. Transfer or remittance of such investments abroad is not permitted, except in cases of merger, amalgamation, spin-off, corporate reorganisation or succession. Foreign debt transactions may be made through the exchange of foreign currency (i.e., loans, certificates of deposit, private debentures, etc.) directly between a foreign and a domestic party or by investments in publicly traded securities (i.e., bonds, notes, certificates of deposit and debentures) by a foreign party. A foreign debt transaction must be registered with the Central Bank before the actual inflow of funds, and submitted electronically by the investee using the Central Bank's electronic system for foreign debt transactions (ROF). This electronic registration does not require preliminary approval. As a rule of thumb, Brazil does not impose restrictions on foreign investments. Nevertheless, some industries and assets are subject to specific laws and requirements by government authorities. The acquisition of rural land by Brazilian entities controlled by a non-citizen, a non-citizen residing in Brazil or a foreign entity authorised to operate in Brazil is subject to specific legal requirements. These restrictions are also applicable to corporate transactions resulting in the direct or indirect transfer of rural land. Acquisition, rural lease or other rights over real estate property located within frontier areas all require prior approval by the Secretary of the National Security Council. Participation of foreign capital in financial institutions is limited to specific situations, such as a presidential decree attesting the importance of the foreign capital for the national financial system or non-voting stock. The rendering of air transportation services in the operation of a regular transport carrier is subject to prior concession, given to Brazilian entities in which at least 80 per cent of the voting stock is owned by Brazilians and administration of which is conducted exclusively by Brazilians. Foreign capital is limited to 20 per cent of the voting stock (and up to 100 per cent of non-voting stock) and subject to approval by the aeronautical authorities. The Brazilian corporate entity equivalent of a US corporation limits non-voting shares to up to 50 per cent of the total capital stock. Note, however, that in recent years the Brazilian federal government and the National Congress have been discussing and assessing the possibility of raising the 20 per cent threshold to 49 per cent or even allowing foreign investors to hold up to 100 per cent of the voting stock of Brazilian companies, under specific conditions. There are restrictions on foreign investments in the ownership and management of newspapers, magazines, other publications, radio and television (e.g., a limit of up to 30 per cent on equity interest, and only Brazilians may occupy managerial positions regarding selecting and directing topics). Only Brazilian companies (with or without foreign investors holding equity) may develop mining businesses, and they must request and obtain authorisation from the Ministry of Mines and Energy to operate in the mining industry, since the extraction of all natural resources depends on government concessions. the aerospace industry (including the launching of satellites, vehicles and spaceships). Notwithstanding certain restrictions or limitations established by the Brazilian Federal Constitution and infraconstitutional laws for some activities, such as those mentioned previously, Brazilian laws allow any foreign individual or entity to freely invest in the Brazilian market or to hold equity interest in a Brazilian company, provided that a legal representative residing and domiciled in Brazil is appointed with powers to, among other things, receive orders for service of process in any matter related to the appointor being a partner of a Brazilian company and, if it is a foreign entity (not an individual), to also manage its assets in Brazil through the Brazilian federal tax authority (RFB). In any case, the foreign partner must be registered with the RFB, either through the Individual Taxpayer Registry or the National Registry of Legal Entities (CNPJ), as appropriate. With respect to managerial positions in Brazilian companies, only individuals (as opposed to legal entities) may be appointed to a management post in a Brazilian company, as further detailed below. Only permanent residents of Brazil may be appointed to executive posts in Brazilian companies, although, as a general rule, both Brazilian residents and foreigners may be appointed to roles on collective boards, such as boards of directors. Although there are several types of corporate entities provided for in Brazilian law, business activities are mainly carried out by foreign investors in Brazil through one of three structures: limited liability companies, individual limited liability enterprises and corporations. Limited liability companies and individual limited liability companies are governed by the Brazilian Civil Code2 and corporations by a specific law (Federal Law No. 6,404 of 15 December 1976). According to data made available by the Brazilian Business Registration and Integration Department (DREI),3 Brazilian limited liability companies (LLCs) represent more than 98 per cent of all company incorporations registered with the boards of trade throughout Brazil from January 2015 to March 2017. Thus, it is the most common corporate model in Brazil. The preference for this model is justified not only because of the simplicity of its incorporation and operation, but also because of the low costs of incorporation, maintenance and operation, when compared with those of corporations. Considering only resident stockholders, a limited liability company can be incorporated and ready to start its activities in Brazil in approximately five business days, bearing in mind that the time needed when foreign partners are involved may vary because of the need to obtain official documents in their countries of origin and the procedures required for them to be effective in Brazil. Brazilian LLCs can be incorporated by two or more partners, individuals or legal entities, resident or non-resident in Brazil. The incorporation procedures are not complex: after execution and filing with the board of trade in the state where the company's head office is located, the articles of incorporation are registered and the company obtains a CNPJ (tax enrolment) number recognised by the RFB. After that, further steps may need to be taken depending on the activities to be developed by the company, such as obtaining municipal and state tax enrolments and requesting the necessary operational permits, as applicable. The capital stock is divided into quotas, which represent the share of the capital stock contributed by each partner, and the rights and obligations arising from that contribution. Quotas are mandatorily nominative and their ownership is registered in the articles of incorporation. Quotas mandatorily have a par value and their issuance must represent the amount of the capital contribution in monetary values. Any assignment or transfer of quotas must be formalised through an amendment to the articles of incorporation of the company, which must be registered with the local board of trade to be effective to third parties and are publicly available for consultation. Generally, there are no minimum or maximum limits for the capital stock of an LLC, nor minimum capital stock to be paid in advance for incorporation purposes. In the case of a permanent visa for a director, manager, officer or executive with management powers representing an economic group or conglomerate, the Brazilian company must have a minimum capital stock of 150,000 reais in order to obtain a visa for each foreign officer, in view of the fact that, among other requisites provided in the applicable law, the foreign company needs to make an investment in the Brazilian company in the amount of (1) 150,000 reais and hire 10 employees in the two years following the appointment of the manager, or (2) 600,000 reais in order to obtain a visa for each foreign officer, without the need to hire employees. It is also possible for Brazilian LLCs to have a board of directors of a deliberative nature, in which case non-resident individuals are allowed to take office, provided they appoint a legal representative in Brazil with powers to receive orders for service of process. As a rule, the partners' liability in an LLC is limited to the total number of quotas subscribed by each of them. However, all partners are jointly liable for fully paying up the stock capital. Managers should not be liable for any of the company's obligations, except when their acts exceed their powers and responsibilities, they violate any law or act in discordance with the articles of incorporation. However, in light of the very high number of statutory obligations of a labour and tax nature, the limitation of liability in this corporate model should be assessed on a case-by-case basis by legal counsel. LLCs have no obligations regarding the bookkeeping, preparation or publication of financial statements or independent audit, unless they qualify as a 'large-size company', so understood as those companies or groups of companies under the same control with total assets or annual income greater than 240 million reais or 300 million reais, respectively, in the previous fiscal year. The individual limited liability enterprise (EIRELI)9 is the most recent corporate type created by Brazilian law,10 and it emerged from a shortcoming verified in the corporate legal system: the lack of a corporate type that can be created by one person or legal entity without risk to the personal property of that person or legal entity. Prior to the creation of the EIRELI, a sole person could only have a business as an individual entrepreneur, which, despite being widely used in the Brazilian market, has always been criticised for failing to separate the entrepreneur's personal assets from the business itself. The legislator created the EIRELI corporate type as a hybrid combining the individual entrepreneur (a sole undertaking) and the limited liability company (allowing for the latter's limitation of liability). investors are allowed to hold equity in only one EIRELI at a time. Not only is the EIRELI almost the same as a single-partner LLC, but the applicable law is also substantially the same: the law that created the EIRELI added only one article to the Brazilian Civil Code13 and determined that the articles of the Code that govern LLCs should be applicable, whenever possible, to the EIRELI. Also, for this reason, in practice, the EIRELI resembles the LLC in several respects: the incorporation documents and arrangements are equivalent, the maintenance costs are basically the same and, in general terms, the administration is similar to that of an LLC. At the time of the creation of the EIRELI by the Brazilian legislator, it was not clear whether legal entities could incorporate an EIRELI; however, recent commercial registration rules have made it clear that legal entities are allowed to incorporate EIRELIs. A corporation is the most commonly used structure for larger businesses, in view of its robustness in terms of corporate governance, transparency in terms of publicity, and the range of alternative fundraising structures available. One reason for this is that the corporation is the only corporate type to have a dedicated law, consisting of 300 articles: the Brazilian Corporation Law (Federal Law No. 6,404/1976). Brazilian corporate law allows the securities of corporations to be traded in the capital markets, thus corporations may be closely held or publicly held, with the latter being subject to several additional specific regulations established by the CVM. As a general rule, corporations must publish their financial statements annually in the local official gazette and another local newspaper of wide circulation in the place where the corporation has its head office. Publicly held corporations are subject to more comprehensive regulations, requiring, for example, disclosure of quarterly financial statements and publication of other information, such as material facts. With the exception of Brazilian wholly owned corporations, which have specific incorporation requirements, Brazilian corporations must have at least two stockholders, which can be legal entities or individuals, Brazilian residents or foreigners or any combination thereof. The capital stock of both publicly and closely held corporations is represented by shares. All shares must be nominative. Bearer shares have not been permitted in Brazil since the early 1990s. Shares may be common or preferred, and may be issued with or without par value. As a general rule, both types of shares entitle their holders to voting rights; however, the voting rights of preferred shares may be suppressed or limited. Note that, under Brazilian corporate law, the number of preferred shares with suppressed or limited voting rights may not exceed 50 per cent of all shares issued by the corporation concerned. The preferences of the preferred shares may consist of priority in the distribution of fixed or minimum dividends or priority in the reimbursement of capital, with or without premium. Preferred shares of publicly held corporations without voting rights or with limited voting rights must entitle their holders to broader preferences regarding other dividend rights or tag-along rights in the event of a public offering for change of control. Certain stock exchange listing segments, such as the above-mentioned Novo Mercado, require the corporate capital to be represented by common shares only. Closely held corporations may issue different classes of common and preferred shares. The differences between the classes of common shares issued by closely held corporations largely consist of (1) convertibility into preferred shares, (2) a requirement that the shareholder be a Brazilian resident or not, or (3) the right to vote separately to fill certain positions in administrative bodies of the corporation. Publicly held corporations may only issue preferred shares of different classes. Payment of the stock capital may be made by cash contributions or transfer of assets (assets, credits or rights), provided that any asset to be contributed is suitable to be valued in monetary terms. In addition, to be mandatory, the appraisal report of the assets must be approved by the general shareholders' meeting. As a general rule, Brazilian corporate law does not require a minimum capital amount, although companies in certain industries are set a minimum capital amount by the competent regulatory agency. Payment of the corporate capital in cash may be made by means of a single instalment or several instalments (credit payment); however, at the point when the shares are issued to be paid in cash, at least 10 per cent of the subscription amount must be paid promptly in cash at the moment of the subscription. In contrast to Brazilian LLCs, corporation stockholders are not jointly liable for payment of the stock capital. The liability of a given stockholder is limited to the amount the stockholder has subscribed to the corporation. However, because of the very high number of statutory obligations relating to labour and tax, the limitation of liability in this corporate type should be assessed on a case-by-case basis by legal counsel. Only individuals (rather than legal entities) may be appointed to management positions. The management of a corporation consists of a board of officers with at least two Brazilian residents and a board of auditors that operates on a non-permanent basis. The members of the board of officers are the only individuals entitled to represent the corporation, subject to the provisions of the by-laws. The Corporation Law also provides for a board of directors, comprising at least three individuals, who may be Brazilian residents or foreign individuals. As a general rule, having a board of directors is not mandatory; however, publicly held corporations must have a permanent board of directors. The Law also provides for other cases in which a board of directors is mandatory, such as corporations with authorised capital and government-controlled corporations. If a board of directors is to be created, the general shareholders' meeting shall appoint its members and the members of the board of officers shall be appointed by the board of directors. If there is no board of directors, the members of the board of officers shall be appointed by the general shareholders' meeting. The Corporation Law also provides for other securities that might be issued by a corporation, such as participation certificates, debentures and subscription bonuses. Certain stock exchange listing segments do not allow the issuance of certain securities. Certain transactions involving publicly held corporations are subject to specific rules, such as the acquisition of control, which requires the acquiring party to make a public offer to acquire the remaining common shares (not included in the control block) for at least 80 per cent of the amount paid per share for the shares held by the selling entity or entities. The Corporation Law distinguishes between a 'shareholder' and a 'controlling shareholder' of a corporation. The latter is a person or entity (or a group of persons or entities) (aligned through shareholders' agreements) who (1) permanently owns the majority of voting rights in the shareholders' meetings, electing the majority of the company's managers, and (2) effectively uses this position to direct and manage the company. A takeover bid is a type of corporate transaction in which the acquiring person or entity (or group of persons or entities) makes an offer to the target company's shareholders to buy the shares issued by the target company to acquire corporate and management control of its business; takeover bids may be either friendly or hostile. A hostile takeover bid is typically presented through a tender offer intended to acquire the common shares at a substantial premium. It is usually presented directly to the target company's shareholders because management is not on board with the deal. Furthermore, hostile bids can result in major changes to the organisational and administrative structure of the target company. Joint ventures resulting in a limited liability company or a corporation are permitted according to the applicable law, provided the foreign partner of the joint venture complies with the requirements to be a shareholder or partner (as the case may be) described herein. Furthermore, a joint venture with a foreign partner usually results in a corporation because of the stricter and thorough corporate governance of a corporation. Joint ventures can also be structured on a contractual basis only, without incorporation of an actual entity. Foreigners may also seek to carry out investments through investment funds – the main type pursued by foreign investors is the private equity investment fund (FIP). A FIP is organised as a condominium (a pool of assets), without legal personality, which must be registered with the CVM: authorisation is automatically granted upon presentation of the required documentation. A FIP can receive foreign investments through the indirect investment regime referred to in Section II.ii. A FIP must invest at least 90 per cent of its net assets in shares, debentures, warrants or other securities that may be converted into or exchanged for shares issued by publicly held or privately held Brazilian corporations, and, occasionally, in quotas of LLCs. In addition, the offering of an FIP's quotas is always deemed a public offering of securities and is subject to registration with the CVM. The prior registration of the public offering will be waived if the FIP carries out a 'limited effort' public offering (similar to a private placement in the United States), which limits the offering by (1) accessing no more than 75 investors, and (2) at most 50 investors may effectively purchase quotas on the basis of head count. A FIP must be administered and managed by a legal entity authorised by the CVM to conduct professional asset management activities, and it can have an investment committee, which may share investment and disinvestment decisions with the administrator or the manager. The general meeting of investors is the highest authority of the FIP. It shall meet at least once a year to approve the FIP's financial statements and additionally whenever the interests of the FIP so require. Any amendment to the by-laws of the FIP shall require the approval of a general meeting of investors. Investing through FIPs grants the foreign investor certain tax benefits, provided certain requirements are met (such as not being headquartered in a tax-haven jurisdiction and not holding more than 40 per cent of the FIP's quotas). If these requirements are met, all gains resulting from transactions carried out by the FIP when distributed to the foreign investor are subject to a zero per cent withholding tax. Although the vast majority of foreign businesses are set up in the form of Brazilian subsidiaries or affiliates, Brazilian law recognises the legal personality of a foreign company, allowing the formation of a branch of a foreign company in Brazil. However, the formation of a branch in Brazil requires specific government authorisation, which is granted after generally long and bureaucratic proceedings. Upon request, the foreign company must deposit an amount of the capital destined for the operations in Brazil. Nonetheless, for convenience, this structure tends to be adopted by some industries, such as international airline carriers. Investments using this form may typically involve the direct acquisition by the foreign company of assets or a business unit in Brazil. Some specific tax and liability suboptimal characteristics of a Brazilian branch are applicable and must be assessed on a case-by-case basis. Brazilian law and regulations distinguish between domestic and foreign investors. Brazilian investors are those with residency and living in Brazil, and foreign investors are those living outside Brazilian borders, including Brazilian citizens living abroad. For both Brazilian and foreign investors – whether for private equity and joint ventures or mergers, amalgamations and acquisitions, or other associative agreements of any kind – depending on the involved parties' gross revenue amount (see below), an approval by Brazil's Administrative Council for Economic Defence (CADE) may be necessary prior to the closing of the transaction. Pursuant to the Competition Law,14 any transaction in which at least one of the parties involved has registered gross revenue in the preceding year (or businesses in Brazil) above the threshold of 750 million reais,15 and at least one other party involved has registered a gross revenue in the preceding year (or businesses in Brazil) above the threshold of 75 million reais, must be filed with CADE, as a request for market concentration approval. In this context, a 'party' effectively includes the economic group revenue of that party in Brazil as well. if the transaction constitutes a horizontal market concentration between the economic groups of the parties concerned in excess of 20 per cent but less than 50 per cent. The request will be treated as an ordinary procedure in all other scenarios. The analysis of a request by CADE may result in three outcomes: (1) approval with no restriction; (2) approval with restrictions; or (3) refusal. In the case of points (2) and (3), the parties involved in the transaction may file an appeal against the decision. CADE's internal regulation establishes that an appeal will be reviewed and judged by CADE's General Superintendence, which acts as a superior body, similar to an administrative court of second instance, within CADE's organisational structure. There is also the option for third parties unrelated to the transaction but with a direct interest in it to appeal any of CADE's decisions, and these appeals are subject to the same administrative formalities and procedures as those lodged by the parties involved. All request procedures for market concentration approval submitted to CADE will be treated as non-confidential, in keeping with the publicity principles applicable to administrative bodies in Brazil. This non-confidential aspect of the procedures contributes to third-party control of market concentration approval requests, given that these are public interest matters, and a market concentration must not harm any market participants, either by way of market position or prices for products, goods or services related to the transaction. CADE shall reach a decision about any requested procedure for market concentration approval within 240 days, with the option of a single 90-day extension period, if duly justified by CADE. In the case of investigations by CADE into misconduct, the procedure will be confidential until its conclusion, and CADE will notify the parties regarding the submission of their administrative defences. The Competition Law sets out behaviour that constitutes misconduct by market participants, including cartels, international cartels, cartels in public bid procedures, influencing uniform conduct, predatory pricing, retail price fixing, territorial fixing and client bases, exclusivity agreements, combined sales, abuses of dominant market position, refusal to hire, sham litigation and imposing difficulties on competitors. Brazil treats foreign capital with the same responsibility and weight as it does domestic capital (the Brazilian real) in the majority of situations. There are exceptions, however, with some restrictions set out in specific regulations regarding foreign investments in local securities markets. The Brazilian economic scenario has changed radically with the move to sophisticated domestic transactions and investment structures. Also, local judicial courts now specialise in reviewing complex corporate matters and transactions (i.e., specific courts have been created to deal solely with corporate-related disputes). Furthermore, Brazil has increased the use of arbitration as a means of resolving disputes. The legal agenda in relation to international commercial arbitration in Brazil has also improved, following the enactment in 1996 of a modern Arbitration Law. The constitutionality of the new Arbitration Law was confirmed in 2001 by the Federal Supreme Court and this, with the ratification of the New York Convention in 2002, was a key milestone in making Brazil a more arbitration-friendly jurisdiction. Arbitration is now considered a common method of dispute resolution among private contracting parties engaged in complex deals in Brazil in view of the level of expertise and agility available for the analysis and resolution of complex issues. Although the Arbitration Law may not always have been applied uniformly by the courts in the 26 states of Brazil and the Federal District, the Brazilian judiciary has a good track record of upholding arbitration agreements and supporting the arbitral process. Brazil is a complex jurisdiction when it comes to taxation of economic activities. There follows a brief overview of the taxes most frequently discussed in relation to foreign investors. The Brazilian tax on financial transactions (IOF) is levied on all foreign exchanges (securities or bonds, credit and insurance transactions). The trigger for IOF taxation involves the conversion of reais into foreign currency, or the conversion of foreign currency into reais. There are certain exemptions to the IOF in specific cases. Capital gains realised on the transfer of assets located in Brazil by one entity to another (e.g., non-resident to resident, or non-resident to another non-resident) are subject to income tax. The general rule is that capital gains arising from a transfer of Brazilian assets (not carried out on a Brazilian stock exchange) are subject to income tax at the rate of 15 per cent; as an exception, some countries or locations do not impose income tax, or in some places the maximum income tax rate is lower than 17 per cent (low or nil-taxation jurisdictions). Dividends paid by Brazilian legal entities, either to resident or non-resident shareholders (including stock dividends) are not subject to withholding tax in Brazil.16 Payments of interest on shareholders' equity to non-Brazilian residents are subject to income tax at the rate of 15 per cent, or 25 per cent if the investor is domiciled in a low or nil-taxation jurisdiction, as determined by the RFB. There are no federal inheritance, gift or succession taxes applicable to the ownership, transfer or disposal of Brazilian assets by a non-Brazilian investor. Gift and inheritance taxes, however, may be levied by some states on gifts made or inheritances bestowed by a non-Brazilian investor on individuals or entities resident or domiciled within those states in Brazil. There are no Brazilian stamp, issue, registration or similar taxes or duties payable by non-Brazilian investors in shares, fixed-income assets or other investments available in the local markets. The current Commercial Code is one of the oldest laws still in force in Brazil, having been enacted in 1850. However, it has been subject to several amendments and partial revocations. Nowadays, only maritime law is governed by the Code whereas corporate law is mainly governed by the Civil Code and the Corporation Law. Nevertheless, a bill17 was filed in 2011 with a view to enacting a new Commercial Code. This project has been under discussion for the past six years in the National Congress and it is expected to take several years for the legislative process to be concluded. Furthermore, this is also subject to a potential veto by the president. The bill seeks to amend certain provisions of the Corporation Law and the Bankruptcy Law, both commonly deemed to be advanced laws by local commentators. Nevertheless, certain positive proposals have been made regarding Brazilian LLCs, which would acquire greater stability, legal certainty and flexibility, and would become less subject to internal corporate bureaucracy. Other proposals relate to technological developments, with the inclusion of provisions concerning e-commerce and electronic maintenance of corporate accounts, records and files. Last, note that some provisions of the bill being discussed by the National Congress may directly affect foreign investors in Brazil, such as the preference of payment of national creditors in cases of bankruptcy of Brazilian companies, and the requirement to indicate all direct and indirect partners of a foreign company holding equity interest in a Brazilian company. 1 Felipe Gruber Ribeiro is a partner, Rodrigo Rocha Casarotti is a senior associate and Thiago Takuno is an associate at ASBZ Advogados. 2 Federal Law No. 10,406 of 10 January 2002. 3 The Brazilian governmental body responsible for proposing rules and guidelines for the Commercial Registry, supervising the Boards of Trade and centralising commercial information and systems, among other activities. 4 Normative Resolution No. 108 of National Immigration Council. 5 Normative Resolutions Nos. 45 and 95 of National Immigration Council. 6 Normative Resolution No. 118 of National Immigration Council. 7 Normative Resolution No. 62 of National Immigration Council. 8 Normative Resolution No. 70 of National Immigration Council. 9 Empresa Individual de Responsabilidade Limitada. 10 Federal Law No. 12,441 of 11 July 2011. 11 Brazilian Law allows limited liability companies to remain with only one partner for a maximum period of 180 days. 12 The 2018 national monthly minimum wage in Brazil is 954 reais. 14 Federal Law No. 12,529 of 30 November 2011 as amended by Federal Law No. 13,196 of 1 December 2015. 15 These thresholds may be amended without the need of an amendment to the Competition Law; the current thresholds were set on 30 May 2012 by means of a joint resolution by the Ministry of Justice and the Ministry of Finance. 16 Amounts are related to profits generated as from 1 January 1996. 17 Draft bill No. 1572.